The Government of Timor-Leste, in cooperation with the International Maritime Organization (IMO) and supported by the AMBERO-team on behalf of GIZ organized a regional conference on women in the maritime sector. The conference took place in Dili, Timor Leste, on 6-9 November 2017, under the theme: Transitioning from Millennium Development Goals to Sustainable Development Goals. 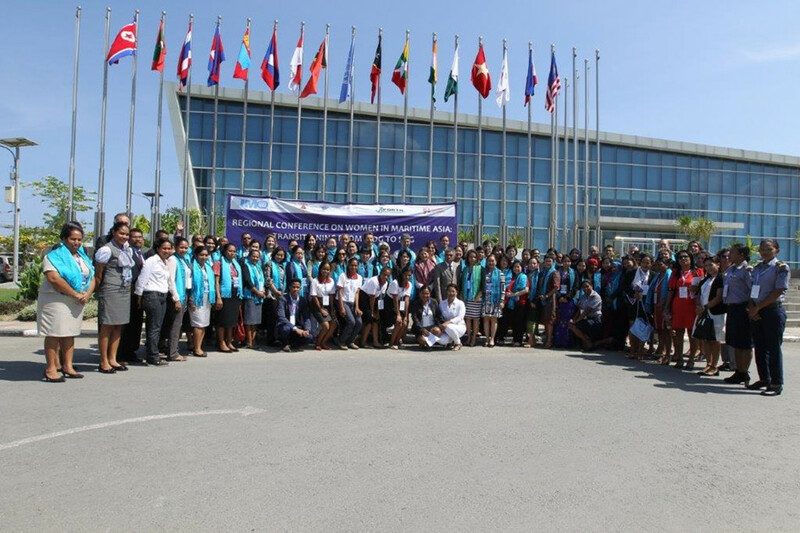 Gathering members of the Women in Maritime Associations for Asia (WIMAs), from 22 Asian countries, the conference is looking at ways to implementing the UN’s Sustainable Development Goals (SDGs), notably SDG 5, which seeks to achieve gender equality and empower all women and girls. WIMAs aims at contributing to the Integration of Women in the Maritime Sector (IWMS), giving visibility and recognition to the role women play as key resources for the maritime sector. Discussions have already identified challenges which will need to be addressed, such as the current political and cultural mind-set as well as varying levels of development among Asian countries. But participants agreed that the exchange of experiences and best practices that are taking place at events like this are already helping to enhance women’s education, competency and career development. The conference should also contribute to aligning the goals within regional WIMA to create a joint strategy for global advocacy concerning the achievement of SDGs through women in maritime.